When I was a kid, summer vacation was a bit like being put in suspended animation. The wide circle of friends at school contracted to those in pedaling distance. The daily exercise of mental expansion paused, replaced by the holding pattern of summer day camp. By August, while I lamented the shortening of days, there was also a bit of excitement about the return to school. New classrooms, new books, new clothes and new adventures with old friends. In my latest novel, Sacrifice, six friends go their separate ways after high school graduation. In the aftermath of battling the supernatural, their friendships enter summer suspended animation, like accident victims placed in voluntary comas. Each fears those bonds of friendship cannot bear the weight of the sacrifices made for the good of others. It takes thirty years for that summer break to end, for the most outcast of the six to call the others home to face a task they all thought was long finished. But the excitement they used to feel reuniting in the fall has morphed into trepidation. After all this time, and all they had endured, had those bonds between them broken forever or just stretched? Would they be strong enough if they again faced the entity they called The Woodsman? Don’t you wait for thirty years or the arrival of a vengeful spirit. Take this autumn to find someone you used to look forward to seeing in autumns past. Social media makes it easier than ever. And if you need something to read while you wait for their response, download Sacrifice as an ebook anywhere you buy ebooks. Available in paper in November. 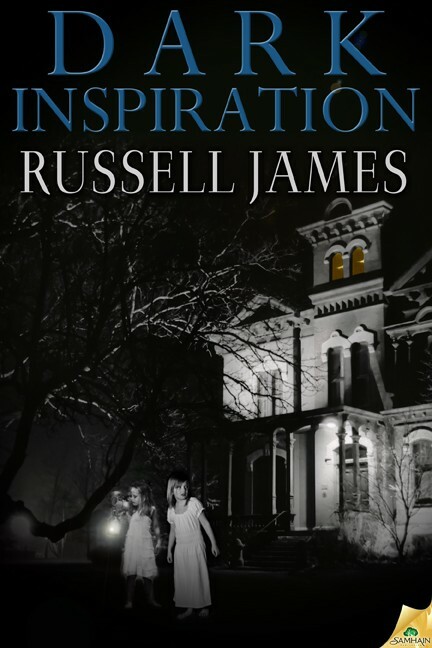 About the Author: Russell R. James was raised on Long Island, New York, and spent too much time watching Chiller, Kolchak: The Night Stalker, and Dark Shadows, despite his parents’ warnings. Bookshelves full of Stephen King and Edgar Allan Poe didn’t make things better. He graduated from Cornell University and the University of Central Florida. After a tour flying helicopters with the U.S. Army’s 101st Airborne Division, he became a technical writer by day and spins twisted tales by night. He has published the paranormal thriller Dark Inspiration in 2011 and Sacrifice in 2012 with Samhain. His third novel Black Magic will be published in 2013. His short stories appeared at Tales of Old, Encounters and Dark Gothic Resurrected magazines. He is a founding member of the Minnows Literary Group. What a great message. When the kid came back next week to school, they are so excited to see friends they missed all summer (in spite of social media). Should stay in touch all year. Puts me in mind of my summer vacations as a kid. I was the youngest kid in my family with my brothers being 5 and 7 years older than me. With my parents both working as did both brothers and no school friends living nearby, summers for me were on the lonely side. Books were my friends. But even those were difficult to come by since the library was not within walking distance but my school was and the bookmobile visited at least 3 times during vacation. I could always check out enough books to last until the next visit. Books are still my friends. I'm never without a book and probably never will be. Your book sounds very intriguing. Your book sounds very suspenseful, one of those that you just can't put down. Look forward to reading it. I really love these covers.